I posted this diagram on a different blog page ages ago, but I had so many emails about it that I wanted to post an update and some new pictures of a smaller enclosure. The original was posted on January 5, 2009 and I think I did this mod (if you can call it that) during Christmas 2008. This is the original video I posted on youtube back then. 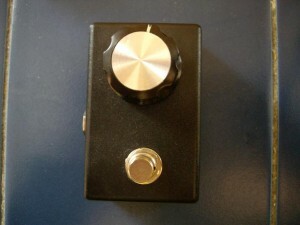 It’s basically a volume pot in a box where the switch inverts the external tags of the pot and allows you to double the amount of presets on your Line6 MM4 and DL4 ( and should also work on AM4 and DM4) using the ‘Expression pedal morphing’ feature that already exists on this series of pedals. For the switch to work together with the pot, the pot has to be set at ‘0’ or ’10’. I did use an external enclosure as I did not want to ruin the original box, but I have seen on youtube some guys that did this mod by drilling the enclosure at the top and placing the footswitch directly onto the case. Other further mods include adding a Status LED (you need a battery and a 3PDT switch for that. If you drill the case you should be able to take the power from the unit itself). Not the cleanest wiring job, but it has been working flawlessly for over one year, so I am going to leave it as it is…if it is not broken, don’t fix it! Disclaimer: I am in no way affiliated with Line 6, I did this for personal use and enjoyment. If you decide to do this, I will not be held responsible to any damage to your equipment or injuries. 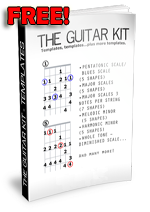 also, do you have the schematics for the normal line 6 expression pedal? it seems to be working only on line 6 products, is that so? I am not sure it would work on the m9…it’s a possibility as I guess the logic would be the same. I don’t have the exact schematics for the expression pedal what I built was made by gathering info around the net… having said that the box in this article IS the expression pedal…just without the ‘rocking pedal’ part, here replaced by the knob. Great tutorials! Keep up the good work. 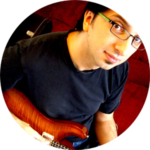 Quick question – where did you get your BK10 tone pot please? Sorry, and the tone knob too please! both the knob and pot can be found in electronics stores like Maplin (Uk)or Radio Shak (Us)… on-line you can find them at Mouser.com or smallbearelec.com and many other shops. Hi Gianni, would you please kindly send me an instructions like the the same one above with the status LED? Thank you i will greatly appreciate it, by the way i am a beginner so extra info will greatly help, thank you. it’s very similar if you think about it. Another wiring diagram that would be great is with how to wire a momentary switch (or 3dpt whichever is best) with led on top and a pot mounted onto the side of the line 6 pedal DL4 or the DM4 pedal. This would be a good one saving on an extra separate box. I know I am asking a lot as someone is probably making money doing the mods but us DIY’s would love to do it ourselves. Guys, as allanbruce already said, these mods are a way to generate income for some people, so I might refrain to post full schematics for the mod with the LED and the mod on the pedal. the first row on the left of the 3pdt is what you need to add/copy with the ‘purple’ wire going to battery/jack ‘black’, and the red is as is (minus the circuit board obviously). The last two row of the 3pdt are like on my drawing on this page. 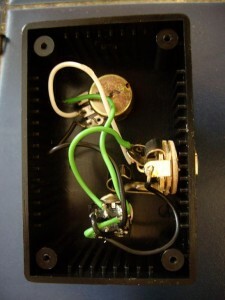 the mod inside the pedal is more involved, and I would not attempt it if you are not sure of what you are doing. 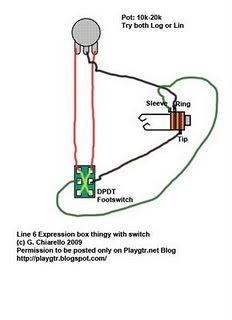 The logic is the same, just draw power from the power input jack on the board inside the pedal, and solder directly on the expression pedal input jack…I think from the top of the board it is sleeve, ring, tip. I have not tried this last mod, do it at your own risk. So what you are saying is the 2pdt switch as drawing above looks the same on the 3pdt switch only the 3 points on the left of 3pdt are as wired on the stomp box pedal picture? This would just turn on the LED when the switch is depressed. I was just uncertain of the working of the 2 different switches and how the pot connected in with the switch. Sorry didn’t catch that Jefferson. I am still recovering from back surgery so I can only do a bit each day. So I will have another try later. I might try with the 3dpt switch without the led first and get it to work before I add the led and battery. Thanks guys for your patients. These little projects are great for my recovery from chronic pain I have had for 10 years. One last question.I have got that together in my mind now but as I don’t really understand the wiring of the POT I found if I put power in the centre pole the outer ones alternate with the knob power from one to the other. Is this (centre tab) the positive or ground as marked on some schematics. Then I would still follow the first diagram DPDT foot-switch above? Centre tab to ring. Hi there Gianni, greetings from Argentina. As you say, this mods is functional with the DL4. What I want to ask is what will change on my delay sound? Obviusly not the type of the delay, but can I asign it to any other control of the Delay? Thanks, and I’ll be waiting for your answer. This little box replaces the expression pedal, so whatever you can do with the expression pedal, you can do this this box (if this makes sense). I just used it as the ‘morph’ feature, to go instantly from one preset to the other…there might be a way to control other parameters, but I did not look into that…I’d say refer to the line6 manual. Great!!! I’ll go directly to it. Once again, thanks a lot for your information and help!! Gianni, one more question… the Pot is B10K or B100K? Thanks a lot dude!! Hi, sorry if I ask you that, but since I’m quite unable to do something like that, I was wondering if there was a product (like an external switch) that could allow me to have this result.